Capital One Financial Corporation is a bank holding company specializing in credit cards, auto loans, banking, and savings accounts. The firm calls McLean, Virginia its home and is a recruiter of top MBA talent. Capital One is hiring a Product Manager to work in Enterprise Customer Intelligence at the company’s New York City office. The Enterprise Customer Intelligence team develop APIs, data platforms, and tools for Capital One to develop and apply continuous customer understanding for all consumer products and experiences. The new Product Manager will be expected to deliver data capabilities, platform services and tools that enable developers and analysts to utilize customer context when building customer centric products that solve business problems. The role requires at least three years of experience in digital product management, and is MBA preferred. You can visit the company career site to see more Capital One finance jobs. 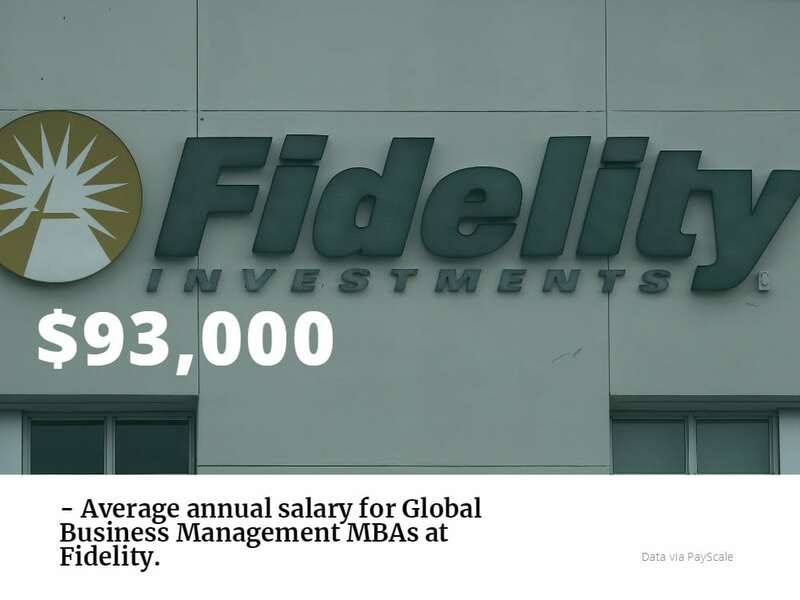 Fidelity Investments Inc. is a financial services corporation based in Boston, managing a reported $2.5 trillion worth of assets. The company is an active MBA recruiter, and has opportunities in technology, finance, investment, or business strategy for MBAs and MBA graduates. Fidelity is hiring a new Senior Risk Manager at its Boston office. The new hire will join the Corporate Risk team, and be responsible for managing Fidelity’s Model Governance and Counterparty Risk. New hires require a minimum of five years of experience in financial services and an MBA degree. See this job, and many more, at the Fidelity careers page. Visa Inc., headquartered in Foster City, CA, is one of the most recognizable companies in the world, facilitating electronic funds transfers through Visa-branded credit, gift, and debit cards. Visa is currently seeking out MBA graduates and current students, placing them in marketing, product, finance, and strategy roles. Visa is looking for MBAs to join its Senior Financial Analyst MBA program. This full-time program out of Visa’s Foster City, CA and San Francisco offices provides the opportunity to work in different areas in Visa for six months at a time. For consideration, candidates must have an MBA from a leading business school with an anticipated graduation date in early 2019. In addition, potential candidates should have three to five years of relevant financial analysis work experience. Visit the Visa careers page to see more job openings. UBS Group AG is a Swiss multinational investment bank and financial services company, operating globally. Stateside, UBS is hiring a new Investment Bank Business Analyst to join its Corporate Client Solutions (CCS) team in New York. This team is responsible for strategic business planning, maintaining the control environment, and driving business initiatives. UBS is looking for candidates with investment banking, accounting, or management consulting experience. An MBA degree is preferred. See more jobs like this at UBS’ careers page. Just like UBS, Credit Suisse Group AG is another Swiss investment bank and financial services company looking for new MBA talent. Credit Suisse is hiring an Americas Treasury Coverage Analyst to join the firm’s Raleigh, NC office. This is an especially exciting opportunity given Credit Suisse’s commitment to the area, significantly expanding its Raleigh employee base over the past two years, making it the primary corporate and business support location for the firm’s U.S. businesses. Candidates should have two or more years working experience in international banking or financial services, and an MBA is preferred. Credit Suisse posts this job, and many others, on its careers page.